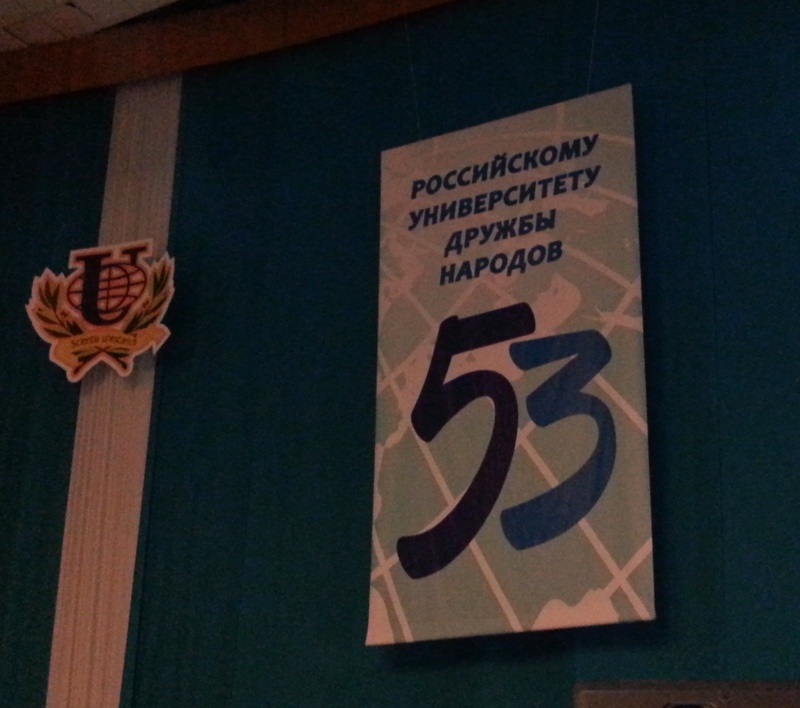 On Friday, February 8, 2013, the Peoples' Friendship University of Russia celebrated its 53rd Anniversary. The staff of EduRu - many of them graduates from PFU themselves - actively participated in the celebrations. After the official part of the event, EduRu had the honor of presenting a big birthday cake to the University. From the stage the cake moved to the banquet hall to be tasted by all the invited guests. It should be noted that the credit for the establishment of EduRu goes, to a very large extent to the initiative of the administration of People's Friendship University. EduRu takes this opportunity to express its gratitude to People's Friendship University for its invaluable contribution to the educational, scientific and cultural development of young people from over 140 countries who are trained within its walls. EduRu wishes PFU several years of prosperity and its Rector, Vladimir M Fillippov success and good luck in all his endeavours.